Exeter University is located on the River Exe in the south western county of Devon, 10 miles from the coast. Exeter is a small city with a population of 118,000. The nearest major airport is Exeter International, some 6 miles from the city centre. Flights to some European destinations are available, as well as connections to London Heathrow. Exeter is 3 ½ hours by car from London. The average lowest temperature is in January, 1-2 degrees, the average high temperature is 19-21 degrees in July/August. The origins of Exeter University stem from the Great Exhibition of 1851 which saw the emergence of the schools of Art and Science. In 1893 with support from Cambridge University it became the Exeter Technical and University Extension College. 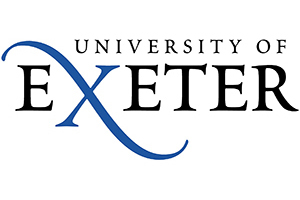 In 1955 it received its charter to become the University of Exeter. 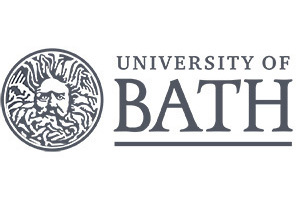 For many years the University has been renowned for the Arts, especially English and Drama although in latter years its reputation for sciences and social science has grown. Exeter University is a campus university; the halls of residence and most self-catered flats are located on campus or within the city centre. Walking distance from the campus centre to the student accommodation ranges from 5 to 40 minutes. Free mini and shuttle buses are provided from the campus around the town but these offer a limited evening service. The main campus is Streatham Campus in the city centre which houses the main teaching departments and the business centre as well as most student residences. St Lukes Campus is within a short walk of Streatham Campus and comprises the schools of Sport & Health Science, Medical Science and Medicine. University of Exeter is currently ranked 141st in the Times Higher Education rankings. Exeter is ranked between 151-200 in the Shanghai Tong Jaio rankings. Exeter is a member of the Russell group of universities. University of Exeter is ranked =23rd in the National Student Survey Satisfaction rankings. There are currently around 2500 international students from over 140 countries studying at Exeter representing approximately 13% of all students. Pathway entry for international students-INTO’s Study Centre at Exeter, offers foundation courses leading to degree course entry. Figures for 2014 indicate a total student population of 19,325 of which some 15,000 are undergraduates and 2067 are post-graduate students. (The figures include non degree students in the total). HESA govt statistics show that 93.9% of Exeter graduates are in employment or in further education 6 months after graduation. However, a breakdown of post-graduation employment by course, showing the split into professional/managerial positions, rather than general employment figures, is available from Unistats an independent source of university data. For more information, please visit the REF Information page. The University offers some 98 sports clubs and societies. Cultural facilities include the Exeter Northcott theatre on the main Streatham campus which runs a programme of film, theatre and musical events. Sports facilities include the recently opened Russell Seal fitness centre and the Exeter Tennis Centre. The University also owns the Devon Cricket Centre and the Vic Ambler Golf Centre. Year one home and international students and post-graduate international students are guaranteed accommodation. Undergraduates can be accommodated in university-owned residences which are both catered and self-catered. The contract for these residences is between 40 and 44 weeks in duration. The lowest price for a single room with shared bathroom and kitchen facilities is £68.30 per week. An example price for catered accommodation is £214.09 at Birks Grange. Fees for full time undergraduate courses in Arts, Humanities & Social Sciences are £17,600. Biosciences, Geography, Medical Sciences, Psychology and Sport Sciences are £20,500. 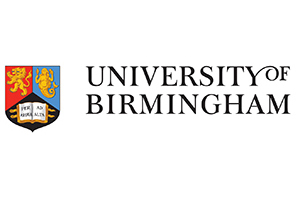 The university offers non-accredited online courses of between 10 and 20 weeks in duration in subjects ranging from Archaeology to Creative Writing, Film, Egyptology, Art History and Environmental Studies.